Fruit dish of cream-coloured earthenware (Queen's ware), covered with lead glaze. 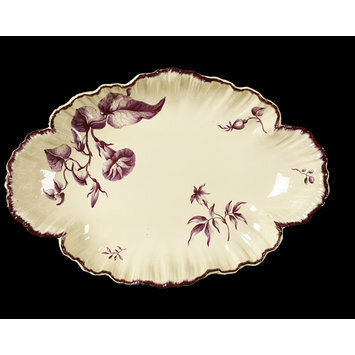 Oval with quatrefoil rim and shell edge. 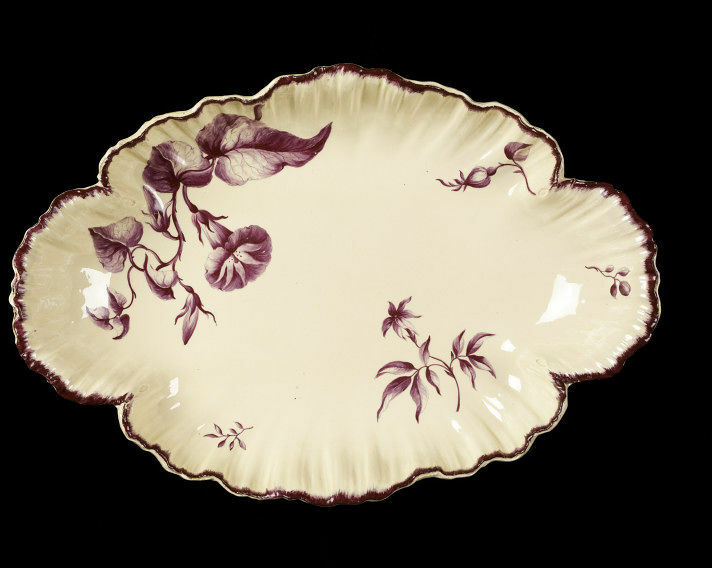 Painted in purple enamel with convolvulus and jasmine sprays and a rose-bud. Hilary Young (ed). The Genius of Wedgwood, London, Victoria & Albert Museum exhibition catalogue, 1995. See pp. 51,71 and 76 for information about the Chelsea Decorating Studio in Cheyne Row, opened by Wedgwood and managed by his business partner Thomas Bentley in 1768. 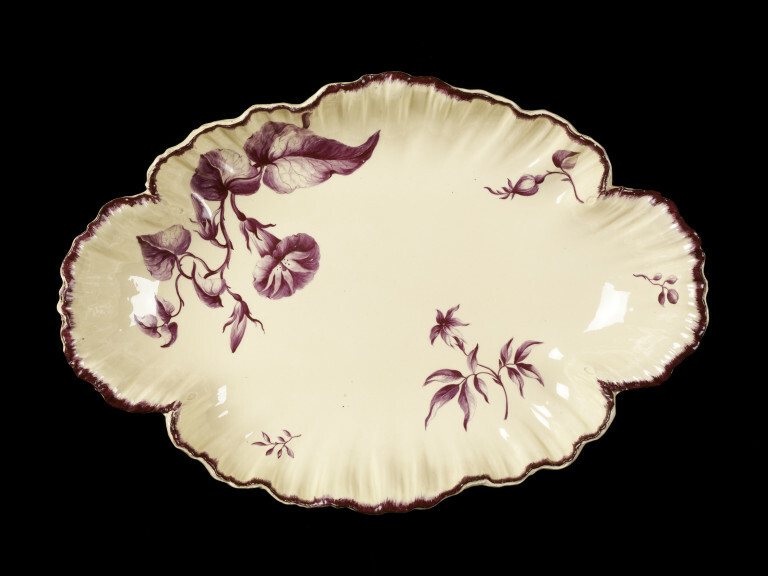 This piece and the previous catalogue entry, D24 (C70-1914) were decorated there, following the pattern of the Husk Service ordered by the Empress of Russia.